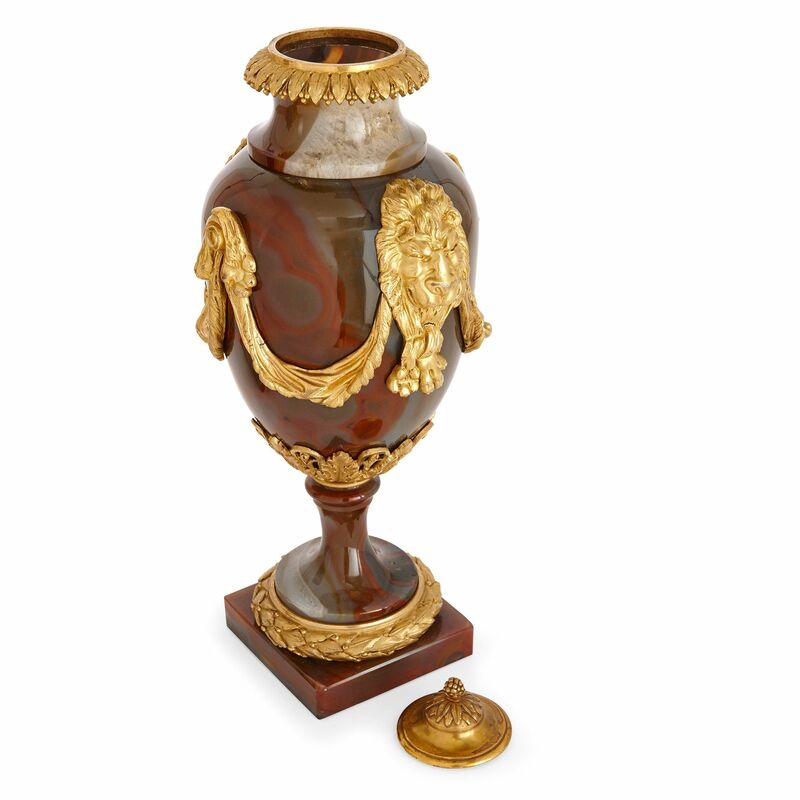 These exceptional and striking vases are made from agate, a highly prized and rare stone, used only for the very finest pieces in the 18th Century. The design of these vases is attributed to Martin Baffert (French, active late 18th Century). 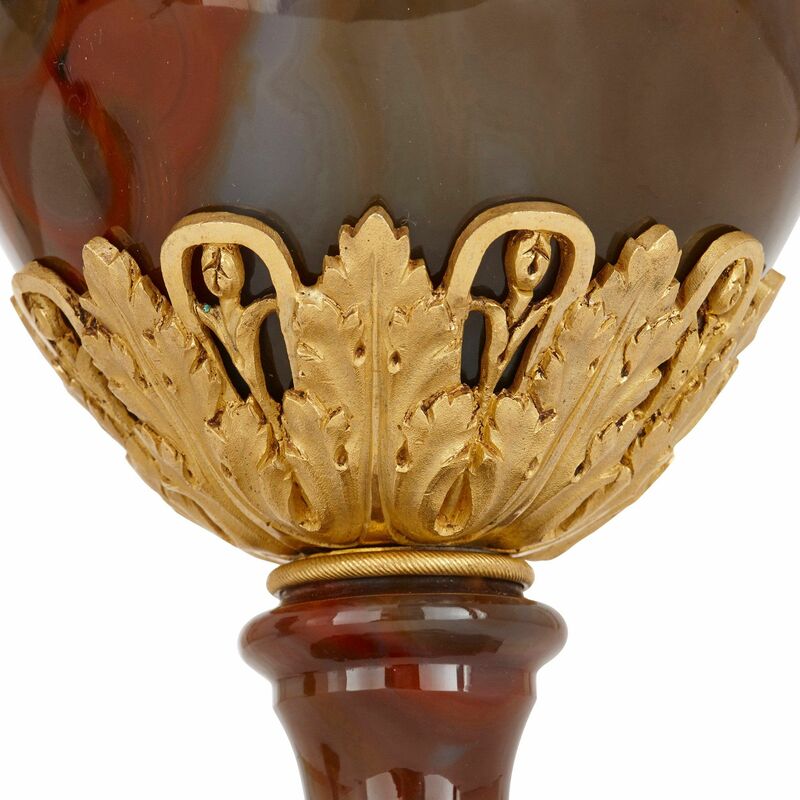 Each of the two vases are sculpted in ovoid form in agate; this particular agate demonstrates an exceptionally fine banding habit in the rich, wine coloured tones of burgundy and claret. 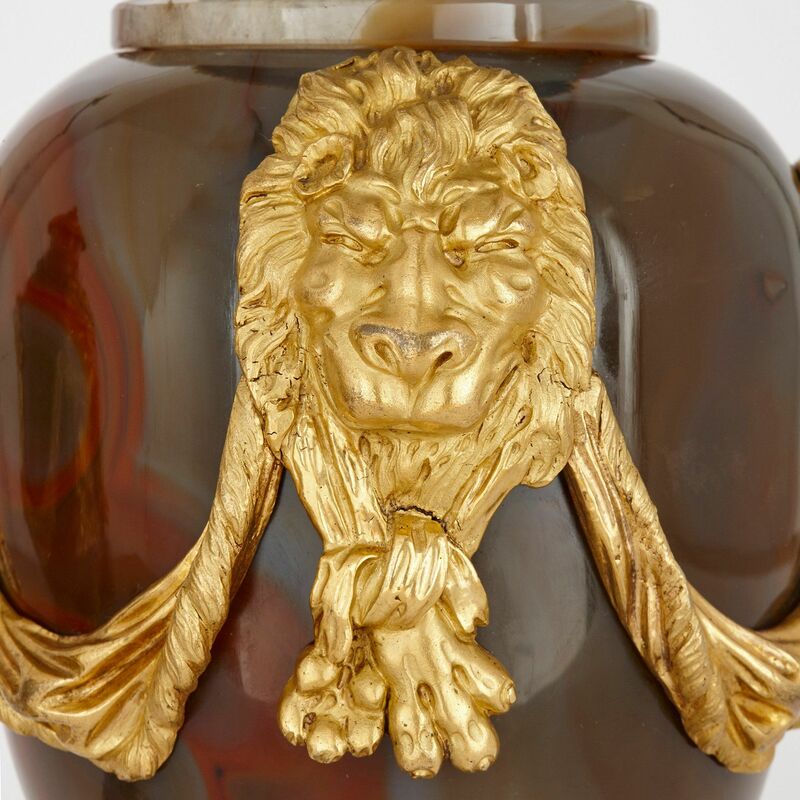 The body of each vase is mounted with twin lion masks joined by draped swags in ormolu. 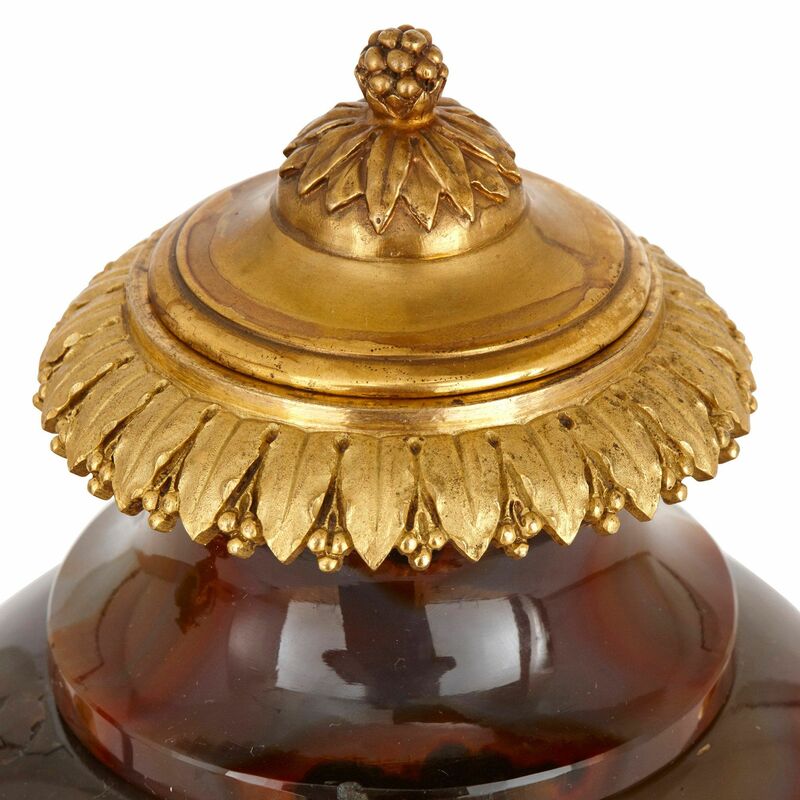 The waisted neck is surmounted with an ormolu cover topped with a pine cone finial, and the waisted base is ornamented with stylised acanthus leaves in ormolu, leading to a square socle encircled with an ormolu laurel wreath. These rare vases are very similar in style and design to a pair of vases that form part of a clock set by French maker Martin Baffert in the Rothschild collection at Waddesdon Manor. 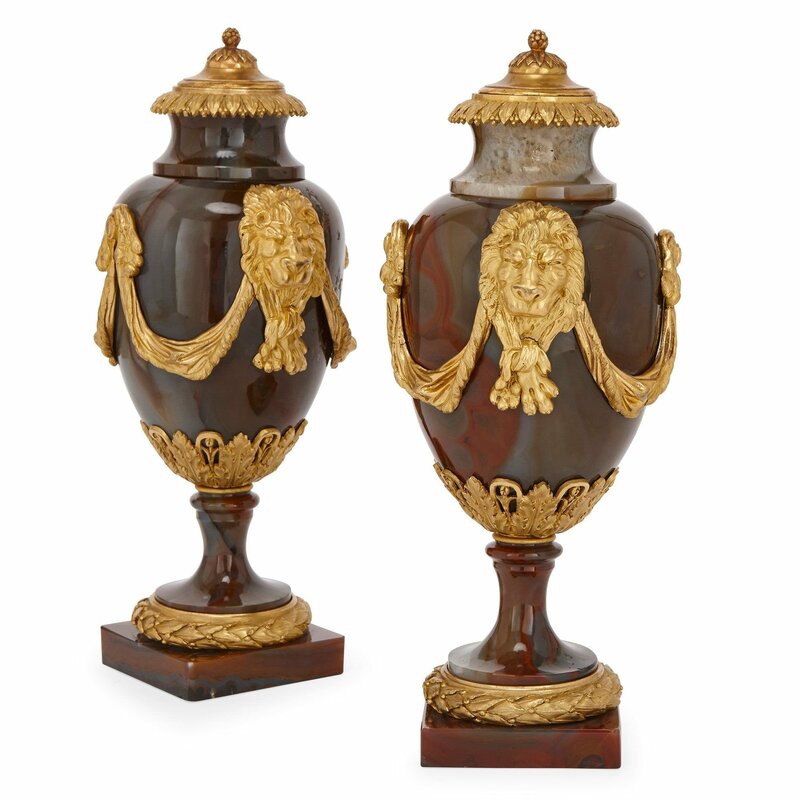 The Rothschild vases have alabaster bodies of similar ovoid shape and ormolu mounts with lion masks and drapery, closely resembling this pair of vases. The use of agate - as well as alabaster - in such pieces are both equally rare, further suggesting they are possibly by the same maker. 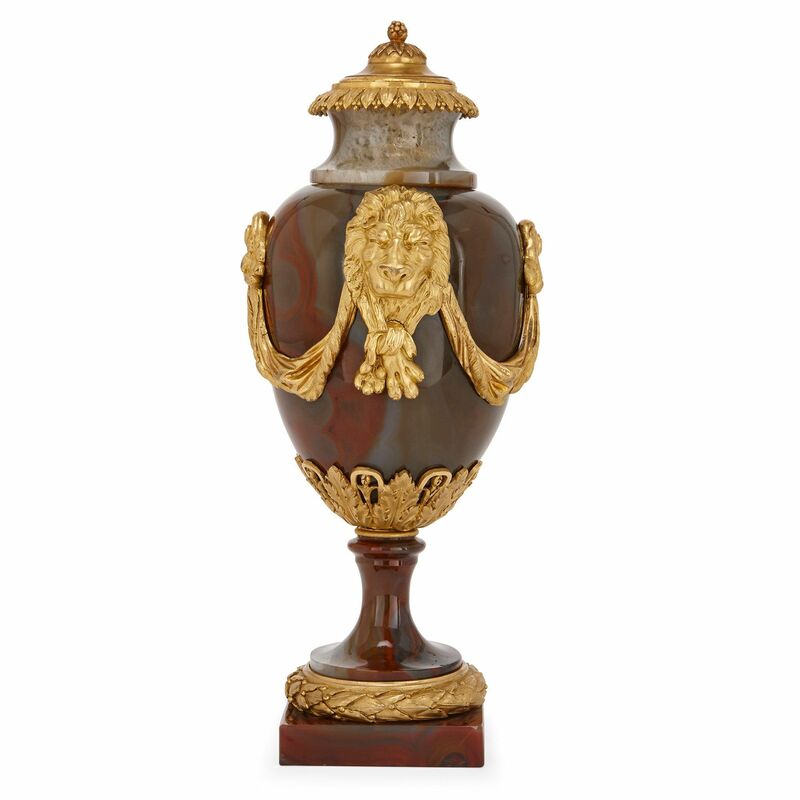 As a clock maker, Baffert was linked to several bronziers who would create his designs including Jean-Nicolas Fremontè, Nicolas-Guillaume Jourdan and François-Robert Leguel who could have assisted in the production of these vases.